Just watching people get on a slingshot ride is enough to give you the willies, especially when you see them lose consciousness. 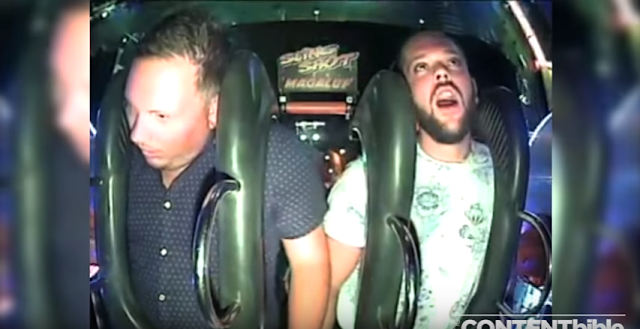 Two tourists looking for a quick adrenaline rush passed out after taking a wild slingshot ride on the island resort of Magaluf in Spain. The two appeared to be overly excited before being launched in the air. With high enough G-forces to induce loss of consciousness, they both drift in and out of it, unaware what was going on. Nope, I’ll probably never set foot on that thing.